A group of about 100 men tried to stop Kejriwal's car and attacked it with sticks but nobody was hurt, an official in the Chief Minister's Office said. 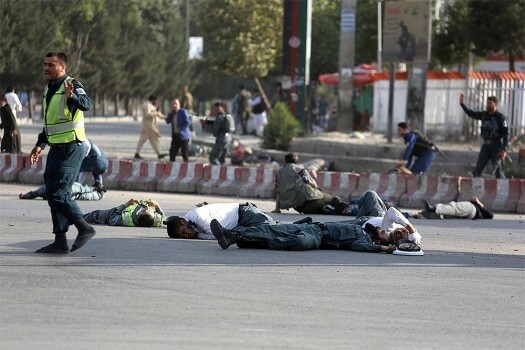 The death toll from an attack Monday on two government office buildings by heavily armed men rose to 43 people. The woman was allegedly set on fire by her stalker in Uttarakhand's Pauri Garwal district on December 16. The accused has been identified as Pravin Gosavi. He was later beaten up by Athwale's supporters. The teacher allegedly entered into the girl's residence and attacked her with a blade, after she reportedly turned down a marriage proposal. Killings targeting a community are not new in Assam. Hindi-speaking labourers, Adivasis and Bengali Muslims have been the targets of militants in the past. The army staged a flag march and curfew was imposed in Kishtwar, Doda and Baderwah. Internet services were also snapped in Jammu region. The elections were initially planned to take place in 2015, but were delayed for three years due to security challenges and political and economic instability.